I would like to share with you one anecdote from the life of a skipper, regarding recommendations for restaurants. 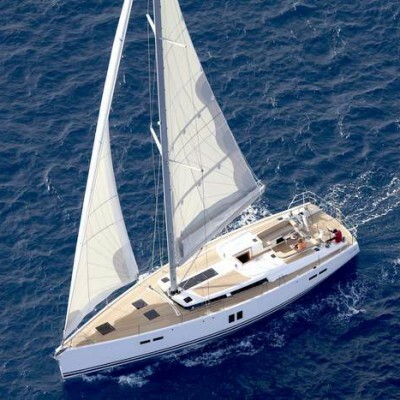 We all know that going on a sailing trip is not only about chartering the boat, route planning and the ‘three S combination’ – sailing, swimming and sunbathing. Food and drinks play a very important role as well. So, it is even more important to choose a good place to please you gastronomy-wise; in order to fully experience the heart and soul of the destination. Croatian Adriatic abounds with ‘commercial’ restaurants which are all alike and serve ‘standard’ food; which is good enough for average tourists who only want to satisfy their hunger. For those who are looking for something really special and genuine, there are restaurants which can be found by recommendation. And here is where my story begins. My customers came to an idea of having lobsters for dinner. I was happy to recommend to them probably the best sea-food restaurant in the area, which was more or less on our route. They accepted my recommendation and we ended up in the marina nearby the famous restaurant. In a manner of a good skipper I instantly called the owner to book the table and ask him about lobsters. He responded that lobsters of various sizes swim in his aquarium, waiting just for my customers. As soon as we arrived to the restaurant the owner along with his staff were happy to see me with my customers and offered us a complimentary welcome drink. My worries started when my customers, instead of choosing lobsters, stuck their faces into the menu, trying to find some ‘regular dishes’. At first I thought that it was all a joke since I explained that this restaurant gained its reputation for a unique and genuine menu, unlike any ‘commercial’ or ‘standard’ offer. This restaurant is for true gourmands. After few minutes we agreed about the orders which did not include lobsters at all. At the first moment I was surprised but I accepted the fact that people change their mind. The dinner passed in a good mood because the food was perfect as well as the house wine. I was finally relaxed because my customers seemed happy although they did not order lobsters, for which we came here in the first place. However, my bad hunch came true at the moment of paying the bill. Firstly, there were questions about conversion of the amount from the local currency into Euros. After the patient and polite waiter explained the exchange rate my customers wanted to know about the price for every single meal we just had. At the end of a very unpleasant situation they claimed that second course was very bad and that they did not like it at all – after all of them finished the entire portion glorifying the chef’s skills… I did not know what to do and how to behave because I did not know what it was all about and where their dissatisfaction comes from. Even the owner whispered in my ear that customers who complain after eating everything that was served are not welcome at this establishment any more. If something was wrong with the food, it had to be stated immediately, not after getting the bill. When we came back on the boat my customers told me that they felt hustled because they got something that they did not ordered and that I should be more careful when taking my future customers to that place. At this point I have had enough! I told them that instead of eating all that was served they should have reacted and the problem would have been solved instantly. I went to bed in a very bad mood because I blamed myself for recommending the restaurant and still did not understand what made my customers act like that. I also decided that these people will not get any more recommendations from me. As the morning is smarter than the evening, one of my customers apologized for their behavior, stating that sometimes they feel disoriented and do not know what they are doing.